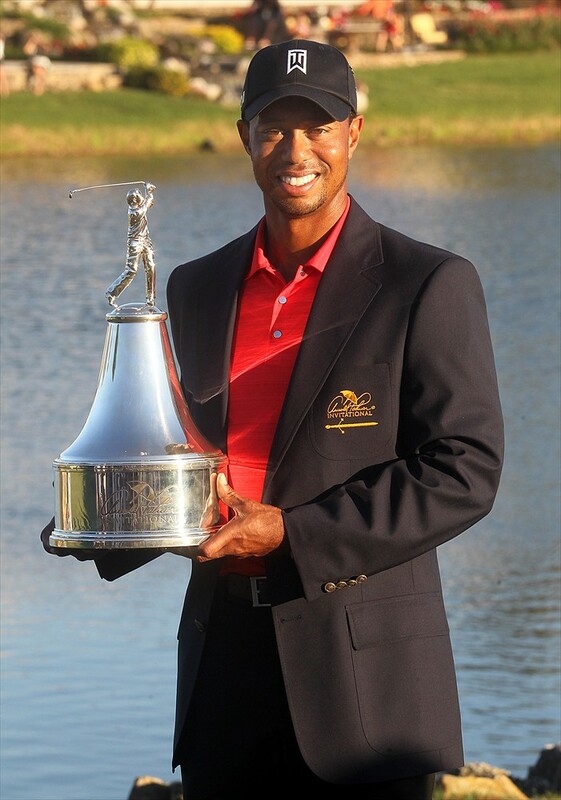 TIger Woods claimed his 72nd career PGA Tour victory at the Arnold Palmer Invitational. Photo copyright Cliff Welch/Icon SMI. Tiger Woods’ win at the Arnold Palmer Invitational this past weekend showed that his game is back and that he will certainly get the one victory he needs to catch Jack Nicklaus. That’s right, one victory. For all the talk that about whether Woods will be able to win the four majors he needs to match Nicklaus’s total of 18, the fact that Tiger now has 72 career PGA Tour wins—one less than Jack—has been virtually ignored. Likewise, the fact that Woods is well within striking distance of Sam Snead’s PGA Tour record of 82 career victories is perhaps the most underplayed story of this era. Yes, major championships carry the most importance because that’s where all of the top players gather and that’s where history is made. More than anyone, it’s Nicklaus who planted the supremacy of majors in everyone’s minds—including Woods, who from an early age had 18 majors as his primary target. That’s all well and good. But the PGA Tour’s all-time victory record is an important historic milestone, and the pursuit of it shouldn’t be relegated to the merest afterthought. Woods actually has a much better chance to pass Snead than to pass Nicklaus. The five majors needed to break Jack’s record are a much tougher proposition than the 11 victories needed to pass Snead. Jack’s milestone is the harder to break because the record shows that Nicklaus elevated his game for majors more than Woods has. They actually have a nearly identical winning percentage in majors through Woods’ current age, but Woods is winning non-majors at a higher rate. Woods has entered 265 events as a pro, winning 72 for an extraordinary winning average of .272. Through the same age (36 and just under three months), Nicklaus had entered 293 events with 60 wins for a winning average of .205. But in major championships, they are nearly identical. Woods is 14-for-56 as a pro, Nicklaus through the same age was 14-for-57 (the difference being that at the time Nicklaus had just failed to win the 1976 Masters; he and Woods both won 14 times in their first 56 tries). In non-majors, Woods has 58 victories in 209 events, a winning average of .278. That’s better than his major championship winning average of .250. When you take the strength of field into consideration, you can still make a good case that Woods has raised his game in the majors. But Nicklaus really raised his game. Through Woods’ current age, Jack had won 46 of 236 non-majors, a winning average of .195 compared to his major winning average of .246. The comparison through Woods’ current age is most appropriate since Nicklaus, like nearly every player, declined after age 35. Taking it through age 46, when he won his final major and final tournament, Nicklaus had 18 wins in 100 majors (.180) and 55 wins in 350 non-majors (.157). The good news for Woods in his major pursuit is that he’s exactly on pace with Nicklaus through their current age. So he’s got a reasonable chance of catching or passing him even with the inevitable physical decline. Of course, physical condition is a bigger question mark for Woods at this stage, after his knee surgeries and Achilles problems, than it was for Nicklaus. And is winning one tournament after a two-and-a-half year drought enough to say that Woods is “back”? It depends what you mean by “back.” He’s certainly a threat again, but it will take multiple wins and a major to demonstrate that he’s all the way back. In any case, Woods is on a much better pace to catch Snead as the PGA Tour’s all-time winner, though he (and most other people) will apparently consider that only a weak consolation prize if he falls short of the major mark. Woods also has a chance to catch Snead for most victories in a PGA Tour event. Snead holds that with eight wins at Greensboro. Woods now has seven victories at the Bay Hill/Arnold Palmer Invitational and he already had seven at the WGC-Bridgestone (formerly NEC) at Firestone. For that matter, he also has six wins at the WGC-Cadillac (formerly Amex and CA) and the Buick Invitational and five at the Western Open/BMW Championship. He hasn’t won any major more than four times (Masters and PGA Championship), but he has done a good job spreading them out with at least three wins in all of them. In fact, the group of events where Woods has shined the brightest are the WGCs. He has entered 36 of those (counting only the ones that count as official PGA Tour events) and won 16 for a winning average of .444. But he’s had the most trouble at the near-major Players Championship: He’s only 1-for-14 at TPC Sawgrass. Player of the Year: Anyone?